Recently, there has been some research that states stretching prior to exercise has lead to a reduction of muscle strength. Of course when something this radical comes out it leads to all sorts of bandwagons, assumptions, and un-educated advice. While this research has helped set a trend toward dynamic warm ups, it has done a big disservice to individuals participating in activities by giving them the notion that they shouldn’t be stretching. But before you toss your stretching routine it’s important to consider the details of this new research. Achieving and maintaining flexibility is imperative for a healthy musculoskeletal system. Muscle length (flexibility) has a major effect on your body throughout the day. Along with connective tissue extensibility, muscle length helps dictate our movements and posture. Not having enough flexibility can lead to compensations, poor posture, and inefficient movement. Most of all, inadequate flexibility can lead to injuries. In my clinical experience I have seen many patients whose injuries stem from inadequate muscle length and the cumulative stress that comes from the correlative compensations. Understanding why stretching is good for your health is a fairly simple concept. If you use the analogy of bungee jumping it can make this concept even clearer. Think about it. If you’re about to bungee jump of a bridge, would you want an extensible bungie cord that allows for high speed lengthening, tensioning, and recoil? Or would you want a short and rigid bungee cord? Your muscles are much like bungee cords that have to quickly lengthen and negotiate tension. Having a nice long, extensibile bungee cord will allow you to enjoy the free fall with some peace of mind and help to take up the forces when the cord reaches its limit. 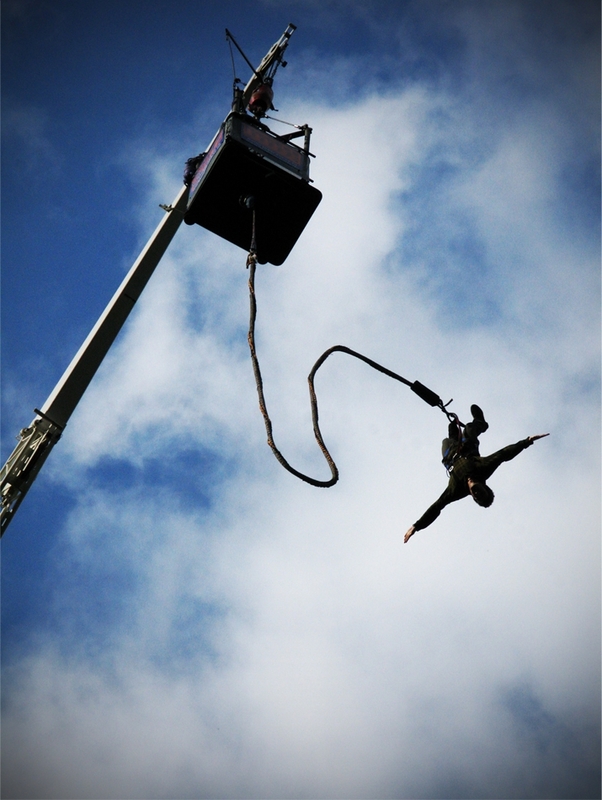 Whereas jumping with a short and rigid bungee cord makes the fall even more terrifying as it puts the cord at risk for tearing and the recoil will be distributed to your body instead of the cord. What kind of cord would you want to jump with? As stated above, there are many possible negative effects of not having adequate flexibility. It’s also important to keep in mind the positive effects of flexibility. The more extensibility your muscles have, the better your ability to adapt to movement. Increase flexibility will also lead to a decrease in resting muscle tension and improved posture. Simply put, having more flexibility may lead to increased athletic performance, improved posture, and prevent of injuries. Increasing your flexibility doesn’t happen overnight. It takes time and persistence to really achieve a significant change in your flexibility. This increase in flexibility is best achieved through a Habitual Stretching Program. Stretching consistently at least 5 days a week for a several minutes a day can make a big difference and may help you prevent future injuries. Keep in mind that it may take a few weeks before you start to really notice significant results, so stay persistent! 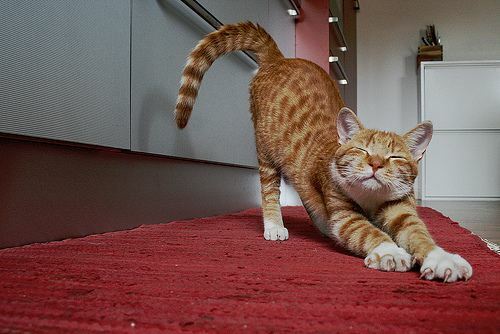 It’s best to stretch before activity after a mild warm up. Following this stretching with a dynamic mobility exercise would be ideal to prepare the muscles for the demands of the activity and may nullify any acute strength loss from the stretch. But more importantly, it is absolutely necessary to stretch after activity to prevent “tightening up” and adaptive shortening of the muscles. This post-activity stretch should be done within 10-15 minutes after exercise while your tissues are still warmed up. It only takes 3 minutes a day per muscle to increase your flexibility. Stretching the right way and staying consistent is important to achieving an increase in muscle length and will ensure that you aren’t wasting your time. There are 5 simple aspects to a proper stretching program. While there may be a temporarily decrease muscle strength immediately after stretching, there is no evidence that it significantly decreases performance. Most importantly these studies do not focus on injury prevention, which should be the main concern when discussing a stretching program. Increasing your flexibility through a habitual stretching program is a main component of achieving and sustaining good musculoskeletal health. Whether you’re a desk jockey or a high performance athlete, increasing your flexibility can lead to an improvement in your quality of life. The main reason I do this blog is to share knowledge and to help people become better clinicians/coaches. I want our profession to grow and for our patients to have better outcomes. Regardless of your specific title (PT, Chiro, Trainer, Coach, etc. ), we all have the same goal of trying to empower people to fix their problems through movement. I hope the content of this website helps you in doing so. If you enjoyed it and found it helpful, please share it with your peers. And if you are feeling generous, please make a donation to help me run this website. Any amount you can afford is greatly appreciated. Aaron works with individuals to help them rehab from injuries and achieve their physical goals. Aaron's life-long passion for athletics lead him to study Exercise Science and Athletic Training at the University of Tennessee before obtaining his Doctorate of Physical Therapy at NYU.